Who Is Seek Out Cycling? 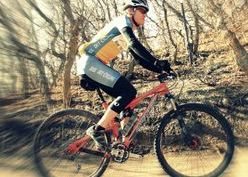 Seek Out Cycling is a family business in Woodland Park, Colorado. At an elevation of 8,500 ft, summers are paradise, but winters seem endless. This climate inspired the idea for Seek Out Cycling movies. How can we get through the long winters with our cycling fitness intact? We invented a solution! Real rides morphed into indoor cycling workouts. We invite our friends to bring their indoor cycling set-ups. We watch Seek Out Cycling DVDs through a digital projector on a 108" screen. We see the beauty of Colorado, from grasslands to alpine tundra. 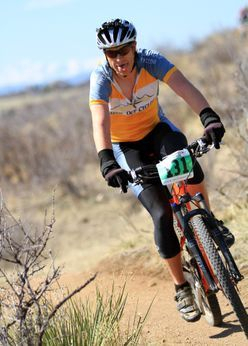 We produce the effort of climbing real Colorado mountain passes, participate in races and fast group rides, and sprint for city limits or finish lines. When Spring arrives, we are fitter than ever. We seek to ride our bikes lots and lots. We prefer to ride in the beautiful outdoors, of course. When the weather is rough, we seek out other cycling opportunities. We seek to promote cycling. 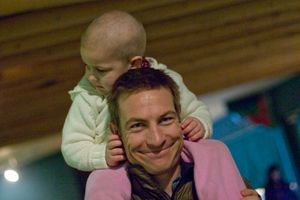 We believe that riding bikes increases the quality of life and makes the world a better place. We sponsor and guide a middle school mountain biking club. We are active in our comminity cycling club, leading weekly rides. We contribute to local fund-raising rides by offering our filmmaking expertise and donating a percent of our proceeds to their causes. We offer our movies at an unbeatable price so that even tight-budget cyclists (like ourselves) can afford this alternative training method. We encourage everyone to take their cycling to the next level. Commute. Participate in trail maintenance. Volunteer. Join a club. Cheer on the racers. Seek out cycling, however you can!